On 3 September 2015, Head of Capital Investment Coordinating Board of Indonesia has issued the Head of Capital Investment Coordinating Board Regulation Number 13 of 2015 on the Procedure of Applying for Facilities on Reduction of Entity Income Tax as lastly amended by Head of Capital Investment Coordinating Board Regulation Number 19 ofr 2015. Pioneer Industry is an industry having broad, high and external relationship, producing added value, introducing new technology, and has strategic economic value nation-wide. i. Economic infrastructure other than that using Government Joint Operation and Business Entity (KPBU). g.If the taxpayer owned by domestic taxpayer and overseas taxpayer in the form of permanent business, the taxpayer must have information letter on fiscal issued by the Directorate General of Taxes, in accordance with the provision regulating the procedure on the grant of information letter of fiscal. 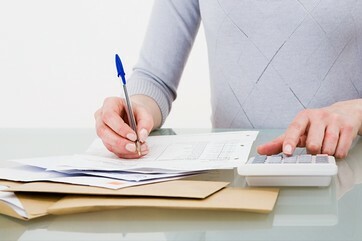 j.Power of attorney duly stamped if the application is not processed directly by the management of taxpayer. If in the phase of clarification of application documents, the application is stated as complete and correct, a receipt will be issued. As follow-up action to the clarification on compliance with the requirements thereof meeting on technical clarification will be held attended by the representative of the ministry of technical matter, the Ministry of Finance, experts, academics and association according to the field of business which facilities is requested for. The result of clarification on compliance with the requirements, meeting of technical clarification, and meeting of decision making respectively must be made in minutes signed by all participants at the meeting. If the application is accepted, the Head of BKPM will make a proposal for granting Facilities. Nonetheless, if the application is rejected, the Head of BKPM shall make the rejection letter. Period for clarification process to the issueance of proposal either to accept or reject the application is 25 (twenty-five) business days since the the date of application receipt. If during the process of technical clarification there is any shortcoming of documents but it has not been completed by the taxpayer until the deadline as stated in the minutes of the technical clarification of the obligatory taxpayer, the applied Facilities will be returned to the taxpayer.